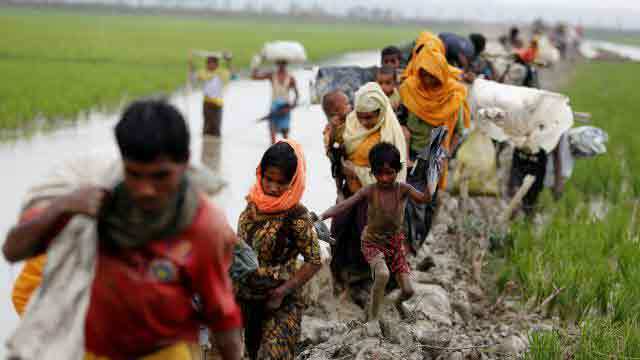 Dhaka, Apr 4 (Just News): Bangladesh will begin relocating around 100,000 Rohingya refugees to a desolate island off its southern coast in June, a senior official said Wednesday, despite warnings the site is prone to violent weather. The remaining shelters will be completed within two months, Bangladesh's disaster management secretary Shah Kamal told UN agencies during a briefing about the controversial plan in Dhaka. "It will begin in the first week of June," Kamal said of the relocation project that has attracted fierce criticism since being first proposed in 2015. "We're building accommodation for 100,000 people," he told AFP, adding the navy would construct more than 1,440 large shelters to house the refugees by May 31. "That is the timeline they are looking at," Mia Seppo told AFP, adding any relocation must be "voluntary" and conducted safely and with dignity. The refugees "need to have a say, need to be consulted and need to understand the conditions to which they would be moving", she added. The island is one hour's boat journey from the nearest inhabited land. Critics warned the whole island could be inundated by floods or wiped out by cyclones, which have killed hundreds of thousands along Bangladesh's turbulent coast in the last half century. The plan was shelved but revived in August as unprecedented waves of refugees poured into Bangladesh's southeast, placing enormous strain on the limited resources in the region.